On the occasion of our Madrid trip we dag deeper in the city’s creative scene. That’s when we came across Espacio Nueva Carolina; a super trendy multifunctional space managed by two photographers; Maria de Miguel and Nerea López and an interior designer; Sara Uriarte. We’ve talked with Sara about ESN’s vision, long-term plans and dreams and of course of places where locals hang out.” Madrid is a melting pot full of creative young people from all over the world. It has the advantage of not being a real reference for any of this fields like London, New York, Paris and Milan. This is an advantage for young creators because they feel more free to not follow trends and can even add some humor to what they do. Madrid in three words is open, crazy and fun.” Read on for insights to ESN’s future and the girls guide to the best of Madrid’s hidden gems. Are you fond of silk scarves just like we are? The spectacular pieces of the Hungarian brand, VYF always belong to a limited collection of one-off pieces, made with the greatest care and biggest heart. The creative team of three keeps juxtaposing elements and themes of the traditional and modern, and melt them into dreamy silky surface. Although the prints are digital, the original samples are pretty much hand-made and going through several steps before production from drawing, to paper cuts to direct photographs. Many times ending up in a humorous and striking balance of authentic traditional styles and the modern digital world, by blurring the find line between the two. Placing and old concept into a new environment with some nostalgic memories hidden on the fabric has always been the brand’s specialty. Read on to find our Tamas Szecsi’s thoughts on VYF’s future and their story behind. Finding our ambassador in Portland was nothing but love for first sight. 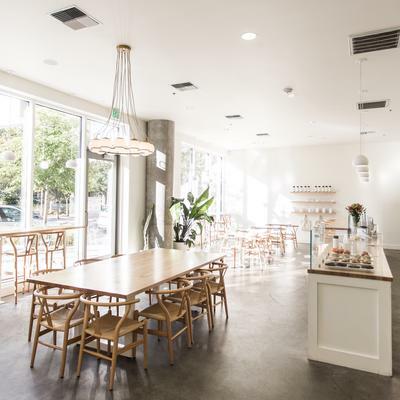 Marshall Steeves’ account is dealing with some seriously beautiful content; minimalist interior details of the coolest cafes in town. Marshall has been influenced by many different surroundings, environments, people, and lifestyles. “Craving the city life again, I moved back to Portland and have chased the creativity and culture that has thrived here. As a photographer, designer, writer, and avid minimalist, I have pushed to bring Portland a sense of unique and radiant energy that will push the design world forward and ultimately expand the city to new and never-before-seen heights.” Discover the most aesthetic gems of the city through Marshall’s lenses, who’s not only a true coffee enthusiast but a great photographer too. Go no further if you want to get a glimpse of the city’s coffee scene, concept stores and restaurants. Read on! When was the last time you’ve read something truly honest, pure and inspiring? This was pretty much the case when we’ve received Rachel Saunders’ thoughts on the art of creating, sustainable living, failure and burnout, and her essential source of inspiration; the diverse landscapes of Mother Nature. Rachel Saunders is a multidisciplinary artist from the West Coast of Canada currently working with clay as her primary medium. She places value on simplicity, functionality, sustainability, and playfulness. In her work she aims to highlight the inherent characteristics of natural materials through self-taught technique and design. All pieces, both wheel-thrown and hand-built, are made by Rachel in her studio on the ever-so-magical Vancouver Island. Read on to figure out more where to go in Victoria, what are the everyday challenges Rachel is facing, and how she’s seizing her mantra through Gertrude Stein’s quote, ’in the morning there is meaning, in the evening there is feeling’. During D.A.T.E. (Discover Antwerp Through Experience) we discovered Antwerp's design scene too! It seemed like that all the ways lead to our long-desired concept store; St. Vincents. 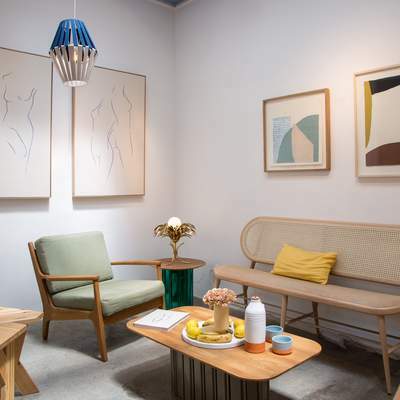 Since its opening in 2015, St. Vincents is a constantly changing space that houses both niche products and well-known local and international designers. Around 475 square meters in the heart of Antwerp, a hybrid mix of commerce, hospitality and art prevails. The owners Henri and Geraldine deliberately set up their business as a concept for gaining experience. The product range is remarkably colorful for a concept store; fashion items, jewelery, books, niche beauty products, magazines and designer furniture creat the constant stock of goods. In addition to the commercial function, they provide a cafe area, events and temporary exhibitions to customers. 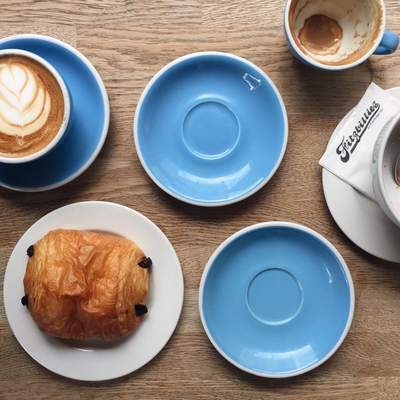 The owners believe in having a coffee or breakfast together as well as gatherings like launch events and exhibition openings strengthens the community. In their point of view, this is now an area of ​​innovation that is a great opportunity for retailers to renew their spaces and to reflect this creativity. Read our interview with lovely Geraldine! On the occassion of our trip to Münich we had a careful research on the city's hotspots. Thanks to our wonderful ambassador we soon realised that the two days won't be enough to discover it fully, yet even a whole week would be tight. Especially when it comes to bars. Take for instance Circle by Cihan Anadologlu in Münich, which is located in the 1st floor at the Heart House. 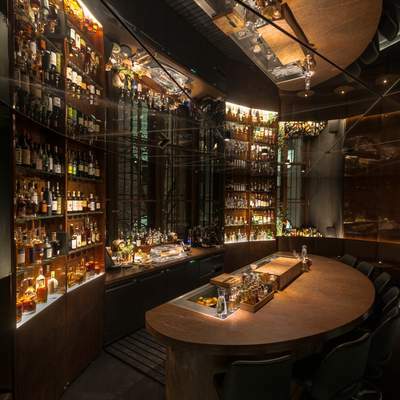 During the first ten months, its founder, Cihan Anadologlu achieved the prize for the „Most innovative Bar“ in Germany, he got ranked by Mixology Magazine under the "Top 5 New European Bars“ and also by Drinks International under the Top 100. I guess it's no coincidence that the lush bar became our number one destination in its category. We've got really curious, so we sat down with Cihan, who's just published his first book titled "Bar Bible". Apart from 200 cocktail classics, he presents his 50 best creations und has invited his friends of the international bar scene to present there most popular drinks as guest authors in this book. The Bar Bible is a real must have for all the lovers of real drinks and cocktails and Circle is indeed a top destination in the city. PS Stay tuned, our bar category is coming soon! Let us introduce our beloved ambassador for Sri Lanka, Natasha Sand whom we'd follow everywhere. And we guess so do you. In our interview with this wonderful person we touched topics like the future of tourism in Sri Lanka, secret surf spots, her roots, and seizing easy way of life. Born and raised in Norway until the age of 12, her family decided to move to Sri Lanka. Since two years, Natasha calls Sri Lanka her number one home; an untouched piece of magic. 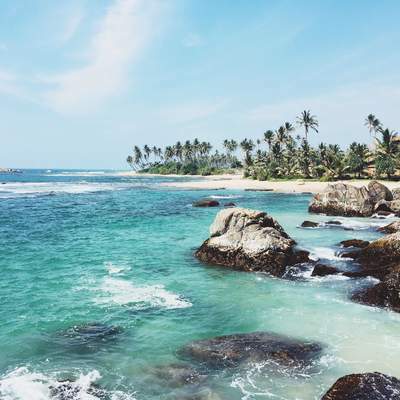 In Sri Lanka, everything moves in a slow pace, meaning there is no rush to get anywhere or get anything done, in other words it's proper island living. If you just travel from 30 minutes to 6 hours within the island, you can change the scenery completely. You've got the classic picture perfect beaches, the paddy fields, then there are the deep lush jungles with endless waterfalls, and all of a sudden you are climbing a mountain with epic views. Follow us to the paradise with Natasha, we've gone surfing! Fancy to get an insight to Barcelona's creative scene? If so, you should definitely get to know MYBARRIO! MYBARRIO was born in 2016 with a simple Instagram account showing a personal curated selection of local designs and the lifestyle of the city of Barcelona. It’s was created for people in search of uniqueness and off the grid recommendations with a certain editorial line: aesthetic, fresh, organic, colorful, graphic! It’s a 360 degrees project in terms of creative disciplines such as fashion, design, art, architecture, photography and lifestyle. MYBARRIO ended up being a creative community of more than 30 000 design lovers, designers, artists, projects that share the same taste for a certain aesthetic that support the #shopsmall movement. It’s also recognized as a curated label that promotes, hunts and sells the best selection of local fashion, home decor, art & lifestyle of the city of Barcelona. MYBARRIO exists both offline, through the events but also online through the social media feed and soon the e-concept store. They organize original pop-up events to showcase and sell this selection in unique places of the city with a different concept and line up in each edition. Read our interview with lovely Hortense Giraud, the founder and curator of MYBARRIO. 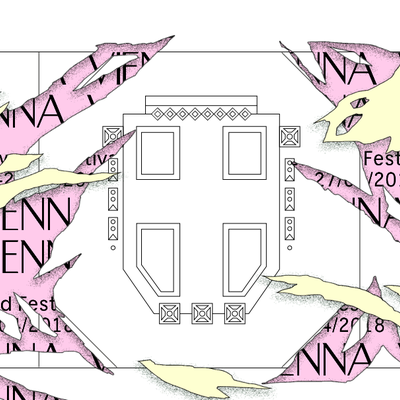 Our story with Forward Festival started a couple of months ago, whereas we stumbled upon Vienna's upcoming events. (As you may have noticed we have this thing going on with the city and in no time it became one of our number one destinations.) That's when we came across Forward Festival's website. The striking graphic design caught our immediate attention and we started to feel a sort of instant curiosity, like you'd wanted to be a part of something great. Their line-up already inlcluded names like Snøhetta, Space 10 or Ferry Gouw. So we got in touch with the guys behind Forward Creatives; Alex and Lukas, whom we happened to find quite a few crosspoints which resulted that Local's Lore is among this season's key not speakers in Vienna, Munich and Zürich. Forward brings together the best international and local creative heads, who provide insight into their success stories in an exciting atmosphere. The conference, the centerpiece of the festival, is accompanied by various side events, such as workshops, live art sessions and networking events. The idea behind Forward is to create a festival where the creative community can exchange opinions, inspire and learn from each other. Read the story behind their way to Forward Festival, it's inspirational! Visiting MÁK (means poppy seed in Hungarian) has been on our list for a long time. Actually we still cannot decide whether tasting their exceptional menu was more enjoyable or watching their, and especially the chef's János Mizsei's precision in the kitchen (yes, we made it behind the scenes). MÁK’s concept is to offer state-of-the-art gastronomy to foodies from all walks of life, in a relaxed unpretentious atmosphere. It counts as a real pioneer in Hungary's fine dinding scene. The chef of MÁK, János Mizsei, at a remarkable chef who has won several awards and has been praised by international publications such as The New York Times, the Michelin Guide, Time Out and Lonely Planet. He loves playing with different textures, acids and unusual combinations of ingredients. While respecting the culinary traditions of Hungary and local ingredients, MÁK’s style of creation and presentation as well as simplicity can be originated from the best practices of Scandinavian cuisine. We've got to talk with János shortly about his current favourite ingredients, his impressions of Daniel Berlin Krog and fine dining in general. Don't miss MÁK when you are in Budapest! What do you associate Cambridge with? Historical university buildings, mysterious libraries, huge gardens, don’t you? Like in a fairy tale. Well, you are not far. Cambridge is amongst others home to the world-renowned University of Cambridge, which was founded in 1209. Only 22, Gina, a Cambridge graduate and our ambassador is living a real cosmopolitan lifestyle, yet she’ll always feel home in Cambridge. She's just recently moved to London yet she knows every corner of Cambridge by heart, but most of all its coolest brunch spots and architectural gems. She calls herself quite lucky as she has visited 26 countries, thanks to her parents' love of travelling, which they have passed on to her. Curious about her favourite places in Cambridge or maybe her three-months road-trip to the US? Read on and start using her guide! There are so many reasons to hit Milan apart from its beauty and refined cuisine in the upcoming weeks; first of all Milan Fashion Week is approaching, so as MIDO and let’s not forget Salone del Mobile. The city has long been named fashion capital of the world and the world's design capital, thanks to several international events and fairs, including Milan Fashion Week and the Milan Furniture Fair, which are currently among the world's biggest in terms of revenue, visitors and growth. If you’re up for discovering Milan beyond its creative fair scene, the very best of Milan, let us introduce our wonderful ambassador: Marianna Zuliani. She’ll be your guide throughout your stay. Use the Milan guide in order to experience real Milanese vibes through a local’s senses in this fast-paced Italian city. Read our interview and get to know more about your guide, Marianna and Milan's thriving gastronomy scene that goes much beyond traditional Italian cuisine; pizza and pasta. Pink color is indeed having its heyday as do rural destinations. How about combining the two? Only a few kilometers away from the capital of the oh-so-coveted island, São Miguel, Azores you’ll be able to enjoy both at the very same time. 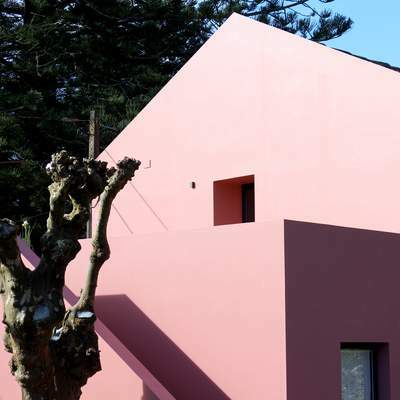 Built in 2017, the Pink House is juxtaposing traditional architecture with the contemporary vision of Mezzo Atelier in a way that it reflects nothing but smooth harmony. 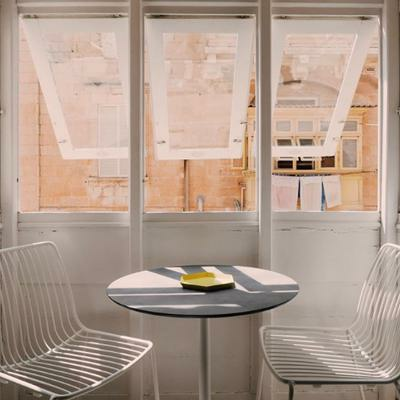 Joana Oliveira who happened to be one of the founders of the Atelier and whose family owns Pink House as well envisioned a wide open space with full of natural light that spread over two floors. The architectural project has also involved local artisans into the production process of custom-made furniture and objects. Therefore the ethereal scope is filled with local artisan pieces, and a delicate mix of modern and mid-century furnishing. The whole place is balancing the fine line between the traditional and the modern. Upon our stay we have experienced the warmest welcome in a cozy atmosphere that felt like (a dream) home. The upper floor is the so-called social space that includes the kitchen as well and has the full height of the roof so it feels rather airy. From the kitchen there is access to a terrace situated on top of the smaller ground floor house. By the way kitchen, our breakfast was literally delivered in style; a flowery basket filled with home-made goods and seasonal fruits from the wonderful garden. We could enjoy the beauty and calmness of the gardens, orchards, lawns and inner woods throughout our stay. There is around two-hectares of land to explore, including a huge swimming pool. Peak season travelers have the upper edge! Whether you are opting for the main house (accommodates five to seven people) or the studio (accommodates three) you are going to have one of you best quarters experience ever. In the meanwhile, read our interview with Joana about her creative vision in terms of redesigning an old barn and adapting it into the Pink House; one of the coolest nest we have ever visited. The store as we’ve known it, is being reinvented. In the past years, traditional retail has been challenged by both shifting consumer habits and rising e-commerce traffic. New retail concepts were born that combine online and brick-and-mortar shopping experiences in order to remain competitive and accurate in the market. One of our favorite concepts in the whole wide world are The Feeting Room stores in Porto and Lisbon. Both have lately become true cultural hubs for both local creatives and travelers. With a roomy 300 square meter area in each store, their aim is to offer a versatile assortment of lifestyle items for both women and men, ranging from timeless carryovers to seasonal pieces. Altogether the selection is bound by the quality of their partnerships and collaborations which result from a shared vision of the future and sustainability of retail fashion. For the ones not planning to visit Portugal any soon, they operate a webshop as well. We dug beyond their concept a bit, read on to get some great insights! Things like coffee have become the inevitable part of our lives hence we barely think beyond its wonderful flavour and pretty packaging. Well Kula project does, and not only think but more importantly act. We had the pleasure to ask Sarah Buchanan-Sasson, the Founder and Director of Kula Project, about her vision in terms of coffee farms in Rwanda - the beginnings, projects and future goals. In case you were not familiar with them, on May 12, 2012, James and Sarah Sasson founded Kula Project. They began with the belief that communities in need must be involved in the problem solving process, and while they set out to do just that, the first two years brought many failures and lessons learned. It wasn’t until January of 2014 that they began to find their footing. Sarah and James spent a month in Rwanda listening and learning, and immediately knew that Rwanda was the place they were supposed to be. So they completed their current projects, and focused all of their efforts on the beautiful country in the heart of Africa. 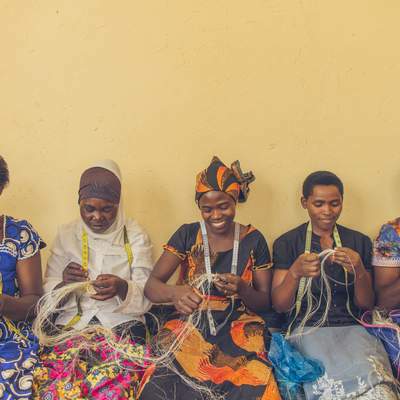 Since then, Kula has worked solely in Rwanda alongside the most remarkable woman and men who are doing everything in their power to create a life of peace and prosperity for their children. Read on!